Welcome to our comprehensive Dimplex Celeste Electric Stove review Model TDS8515TB. Please note it is also available in a glossy black or an ivory, cream color. Spoiler Alert: This is the Rolls Royce of electric fireplace stoves. It is the only one we have come across that has a built in air filtration system. 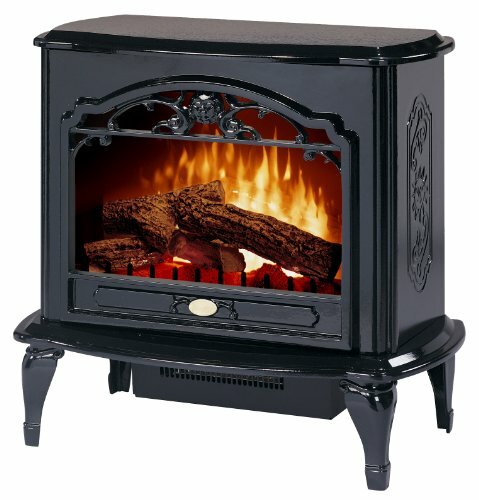 It has the largest viewing area of any stove style electric fireplace we’ve seen so far and the flame effects and log set are worth seeing. It has beautiful sculptural decorations on the front and sides. NOTE: If you have arrived on our site and have decided to buy the Dimplex Celeste Electric Stove model TDS8515TB then we recommend clicking through to discover the lowest price and the daily discount. You will get very fast delivery and it’s often free . 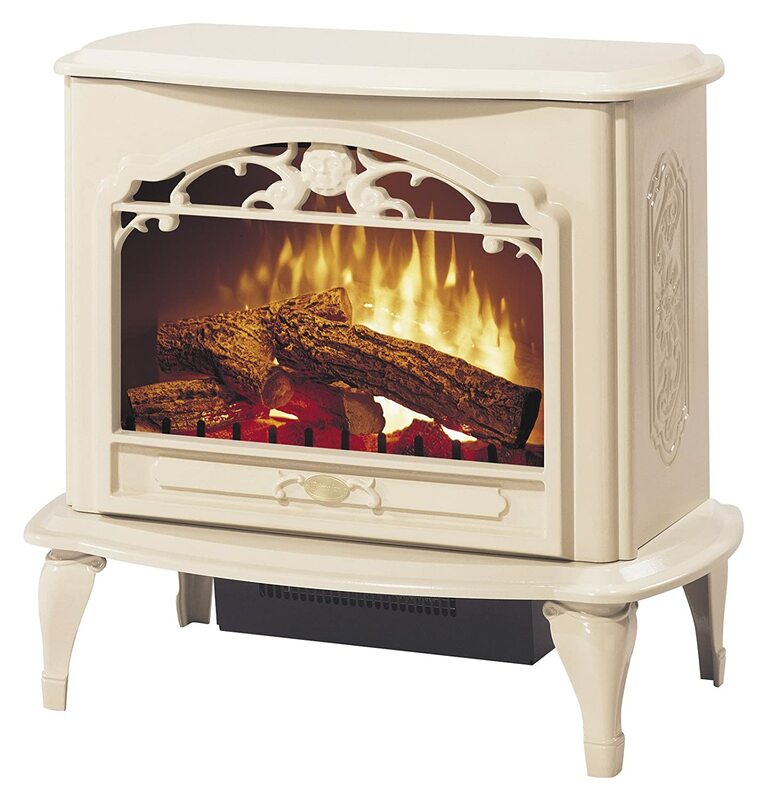 Hands down the Dimplex Celeste electric fireplace stove is the best we have reviewed so far. It is a little pricey but worth it for the quality and owner experience. Get cozy.